HRANA News Agency – Atena Daemi, civil rights and children’s rights activist is still in solitary confinement after near two months, despite finishing the interrogation process. 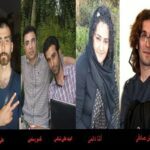 HRANA News Agency – “Arash Sadeghi”, “Atena Daemi”,”Aso Rostami”, “Ali Nouri” and “Omid Alishenas” have been in custody undecided at solitary confinement at Ward 2-A of Evin Prison. 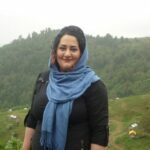 HRANA News Agency – There is no exact information about A’tena Daemi’s condition who was arrested at her home last Tuesday. HRANA News Agency – Atena Daemi, civil rights activist, was arrested on 21st September, at her home and was taken to an unknown place.